Did you know that it took more than 15 years between the first demonstrations of the suffragettes to get the right to vote and the day they finally won? It was in 1903 that the term suffragette was used for the first time in Great Britain. These women are then considered as activists of a new movement, that of the feminist claim. However, it was only in 1918 that women over 30 were granted the right to vote. In order to perpetuate this movement, the United Nations formalized in 1977 the “International Women’s Rights Day”. Since then, March 8 is a day dedicated to the recognition of women and the improvement of their conditions in the world. On this special day, the Bourret Group wishes to highlight the place occupied by women in its organization. Indeed, the involvement of women in the company is considerable, they all occupy a position essential to the succes of the company. To each and every one of you, thank you for the work you do every day, thank you for your contribution to the Bourret Group. 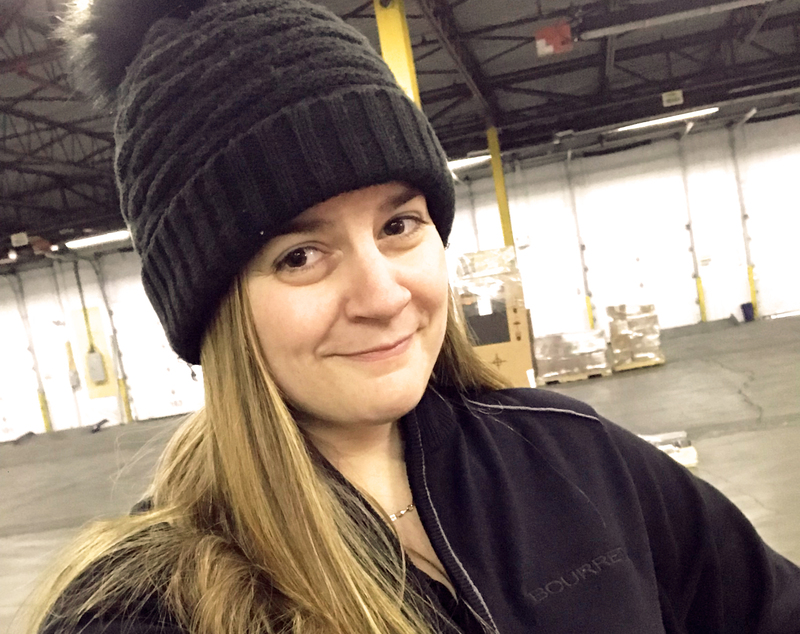 On this day dedicated to the victories of women in our society, we asked some questions to Jessica Blais, supervisor at our Montreal terminal. We were curious to know a little more about her reality in a typically male oriented environment. What attracted you to the transportation and warehousing industry? First of all, I wanted to experience a change in my professional life and the desire to take on a new challenge. I have also been attracted to this field through my brother (Truck Driver) and my sister-in-law (Customer Service Agent) who both work for the Bourret Group. They encouraged me to take a chance to join the team. In addition, I must say that their anecdotes related to their work made me eager to apply without hesitation. Added to all this was the curiosity to discover and understand what the transportation and warehousing industry is all about. Was it difficult for you to find your place in a typically male oriented environment? Being the only woman at the Montreal terminal, I can say that it was a challenge to take my place in the beginning. It must also be said that being the supervisor of a terminal brings its own share of challenges. When I arrived, I had to work hard to prove myself to those who have been working in the field for a long time. During difficult times, I knew how to stay strong. I rolled up my sleeves and did not let myself be discouraged by the situation. Fortunately, over time, I demonstrated to everyone that I could take up this challenge. Thanks to the experience gained over the years, it’s easier to practice my job today. In addition, it must be said that women are now well recognized in the field. The support and help of my colleagues at the Bourret Group have helped me a lot to learn and improve over the years. Even today, I manage to outdo myself day after day. What makes you passionate about your job day after day? What I’m passionate about every day is unpredictability and teamwork. Every day, I come to work without having a pre-established routine. There is not a day like the others. We continually face imponderables such as mechanical breakdowns, poor road conditions and many other unforeseen events that occur at the last minute. These situations are quite normal in our field, and this leads us to be able to adapt quickly and change our plans at any time. I also like having a team that relies on me just as much as I can rely on them in return. When a problem occurs, it’s easier to solve it as a team. In addition, I am particularly fond of being able to touch various areas of transportation in my daily life such as the OSD and customer service. Finally, I like to be in constant communication with the dispatch team. Everyday or at some point your life, is there a woman who inspired you in particular and why? The women who inspire me the most are the ones I meet in my daily life, especially my mother and my sister-in-law. I have always been able to count on their trust, their support and their listening. My life path and determination are also a great source of inspiration for me. Through the hardships that I had to overcome, I knew how to develop a wealth of experience that pushed me to go beyond myself day after day. I formed my strength of character and my ambitions on my own by wanting to push myself to the maximum, by taking up challenges that sometimes even made me question myself. I have never regretted having taken the chance in the unknown, to take risks and I am very proud of it. Thank you, Jessica for your collaboration for this article. We hope your testimony inspires other women to excel and realize their dreams.